As you might already know, a few days ago Okhlos won the Best Gameplay award at the Brazil Independent Games Festival (mandatory weekly braggin). This was huge news for us. We spent almost a week in Brazil, São Paulo, and enjoyed the heck out of the festival. We are working on update about our whole experience there but that is not what I want to talk about today. At around the same time we got back home, local newspapers picked up the news, which is also awesome. As expected, they gave a nationalistic twist to the news. “Argentina Wins Videogame Award”. So far, so good. The thing is that one the news outlets that posted about it is the second largest newspaper in the country, with a print-run in the hundred of thousands and over a million online followers. As you might expect, there were tons of comments everywhere. We got lots of nice comments and words of encouragement, but, at the same time, some people started trash talking the game. 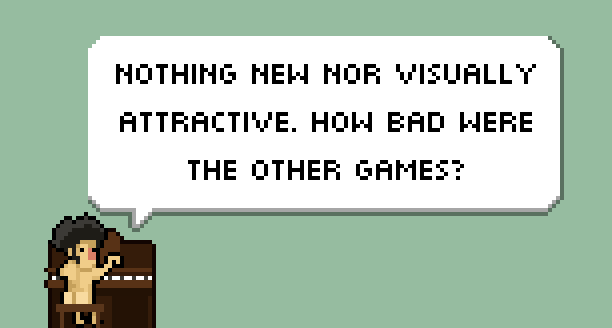 And not just the game itself, but also pixel art and independent games in general. Why the hate? You can argue that internet will always be full of trolls and haters, but on the subject of these comments, our friend @antennariagames said something that made a lot of sense: “[…]I want to emphasize (again) that the comments here are not criticism of the game, it is not about “you always get criticized” (which is true), but it’s about that there are too many people who think they know about videogames because they play them, but they don’t know about the existence of an independent movement, and they don’t know to evaluate it in terms of expression, only in terms of production. An independent game to them is garbage, and when it gains artistic relevance, and even economic relevance, it might seem so absurd to them that they end up banging their heads against the wall because they can’t cope with the idea that this movement exists and it is something real (get out of the tupperware effect)”. So, we are totally OK if you don’t like our game. 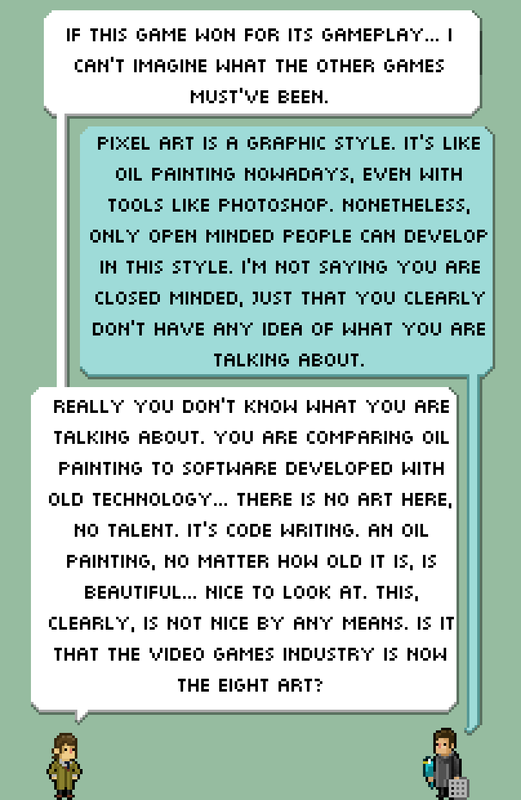 We are totally cool if you hate pixel art and don’t even want to try the game. We don’t pretend to exercise a homogenized taste. And we deal with negative comments in the best possible ways. But some of the comments here were so ridiculous that we had to do something. So we took the best ones, and we put Monty Python characters in it. A) We didn’t reply to any of these messages. We let the love flow. B) This is not about taste or aesthetic choices. C) The game is not available yet, so none of these people played the game. They only watched our (year old) trailer. That being said, here are the comments’ highlights! 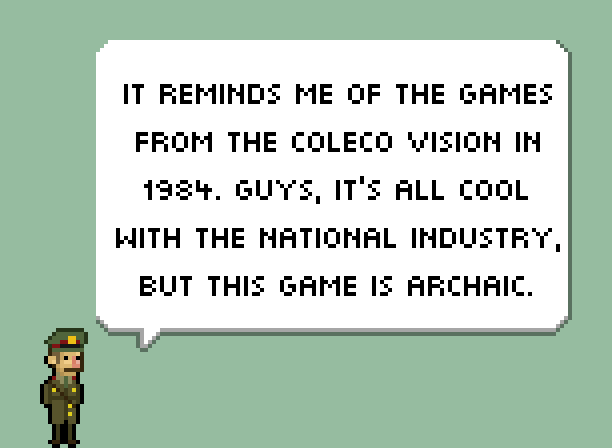 For the young ones, this is a screenshot of a colecovision game. As you can see the comparison is absurd. I don’t use so much magenta. Nor black. I LOVE the irony of the first comment. 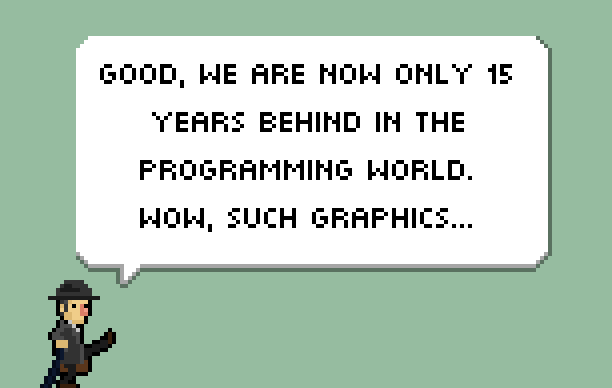 Equaling programming with graphics, sure. Lo voy a decir en castellano. Banco a muerte los pixeles y odio el 3d. Felicitaciones por el premio (espero poder jugarlo en breve para poder decir que esta merecido). Un saludo muy grande y sigan trabajando! ¡Gracias por las felicitaciones! Tenemos los escenarios en 3D, por lo menos la mitad del juego ya te tiene que gustar! Y seguiremos trabajando!